The BEF 360™ Multiplane Skidsteer is a concrete and asphalt planer that has been produced particularly for the smaller Skidsteer machines having its own power source (petrol engine) fitted. 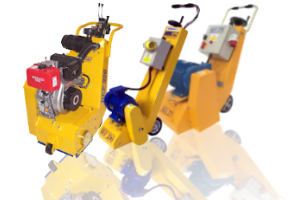 This provides the user a machine of compact proportions yielding outstanding performance rates in preparing and planing concrete and asphalt surfaces. The infinately variable depth control allows for precision planing and texturing whilst maintaining maximum cutter life. The cutter head is fully floating and totally isolated from the movement of the power unit.